As competition for finite fisheries resources increases, the risk of violent conflict over fisheries also rises. 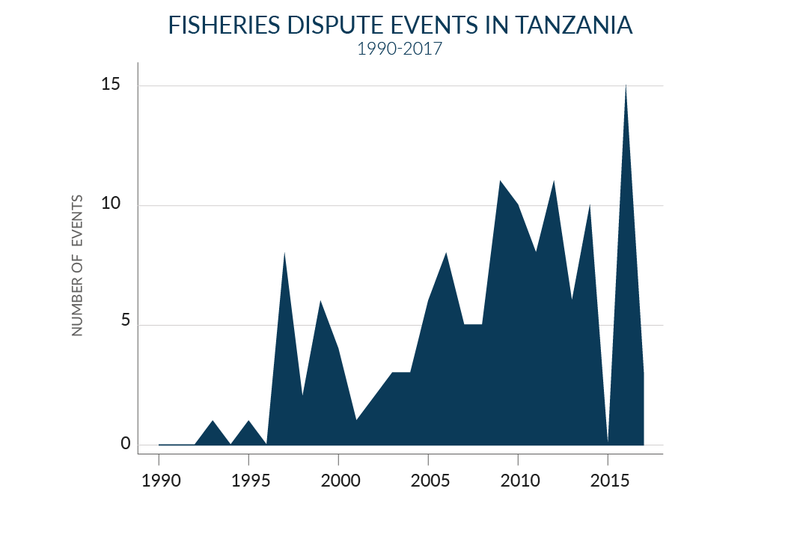 Where and when can we expect fisheries conflict to occur? What are the most frequent causes of fisheries conflict? How often does conflict result in arrests, property damage, or death? What can be done to mitigate fisheries conflict? 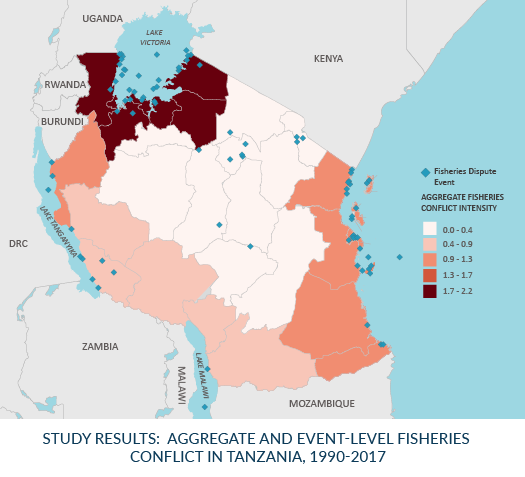 Fish Wars: the Causes and Consequences of Fisheries Conflict in Tanzania explores the frequency, intensity, and drivers of fisheries conflict in Tanzania during 1990 – 2017. By analyzing event-level conflict data collected from public news reports, we assembled the beginnings of a Fisheries Conflict Database. This database contains 129 instances of discrete fisheries conflicts – called Fisheries Dispute Events (FDE). Each entry contains information on the date, location, actors, drivers, and outcomes of the FDE. 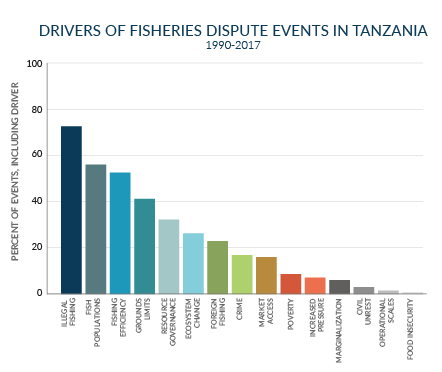 Furthermore, we derived scores measuring fisheries conflict intensity, on a scale of 0 to 3, for each region in Tanzania and each year of coverage. 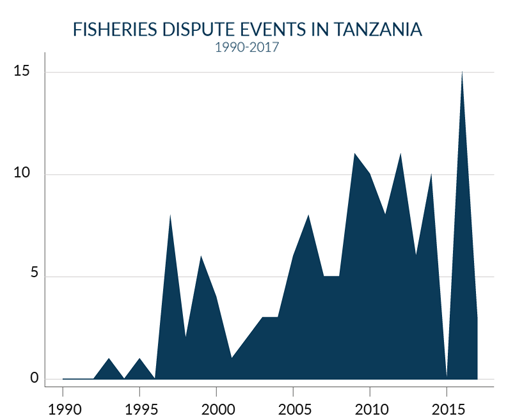 In Tanzania, fisheries conflicts are increasing in both frequency and intensity. The two primary causes of fisheries conflict are illegal fishing and declining fish populations. Most conflicts were between Tanzanian fishers and government actors. 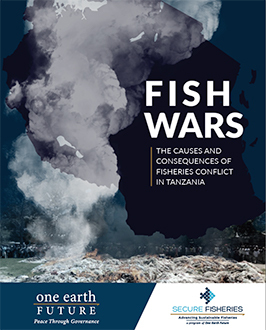 To learn more and see what steps might mitigate fisheries conflict, download our full report.